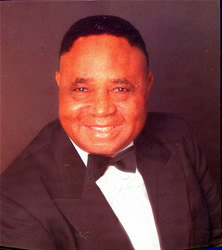 In 1983 when the Aviation industry in Nigeria was under the monopoly of the National Carrier (Nigeria Airways) at the peak of Nigeria's oil boom, Chief Igbinedion saw the need for the active participation by the private sector in the industry. 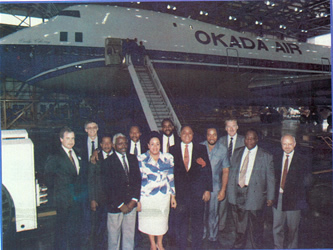 Chief Igbinedion boldly recorded the first private initiative in the fledgling industry when he established the Okada Airline that year. This company grew by leaps and bounds and at a period had 32 aircraft in its fleet, including a Boeing 747. 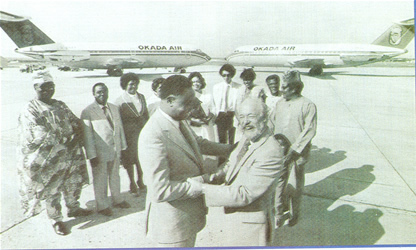 The Okada Airline trained a number of pilots, engineers and cabin crew both locally and over- seas from whose services other operators who entered the industry in latter years benefited immensely. 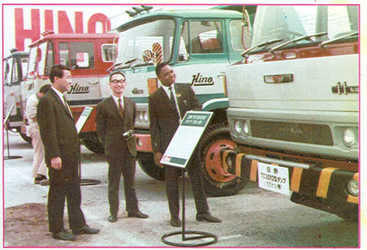 Chief Igbinedion has also made his mark in the Automobile industry through the establishment of Mid-Motors Nig. 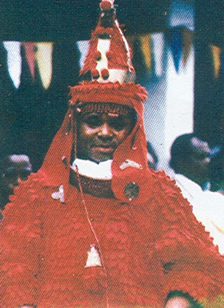 Ltd. (1966); Soft Drinks and Beverages through Okada Bottling Company under the franchise of Canada Dry International, which built plants in Benin, Lagos, Jos and Kano (1970); Housing and Construction through the establishment of Crown Estate (Okada Wonderland Estate in his home town is a branch of Crown Estate; Agriculture, through the establishment of many acres of palm estate and sprawling fields of citrus plants in Ovia North-East of Edo State. He also owns oil mills and pineapple farms in Okada; Others are Salt production, through his New Nigeria Salt Company, trading as Ethiope Salt; Banking, Shipping and Maritime, Food and Confectionery, Road Construction and Quarrying, Power and Energy, Crude Oil Exploration and Medicare.